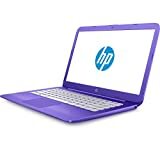 Pink laptops? Yes, these girly gadgets are super-popular right now. Check out the trendy varieties available with designs any girl would love. 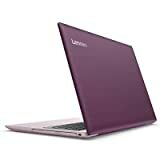 Cute pink laptops are perfect for girls of all ages. Have you ever looked at your computer and wished it was a different color? Although many of us just hop online and don't pay much attention to the shades our computing devices come in, there are some choosy young ladies out there who must be color-coordinated in everything they do. I suppose that is how the trend of colorful computers, accessories and bags came about. One color that is very popular is pink. Girls of all ages love pink. They make a beeline for anything in this feminine shade. Why not have a girly laptop too? I think it's a wonderful idea. Laptops in cool colors and designs can make a fashion statement. Either at school or at work, people will definitely notice that your notebook looks completely different, albeit in a great trendy way. The designs they are putting on these gadgets are simply fun and fashionable. You can find cute ones with cartoon characters and animals. There are adorable polka dot designs. Some are candy stripped. Others have pretty swirls of pink and gray. Yes, some of them even have pink feather trim and matching laptop bags. Not all of them, however, are frilly and youthfu. 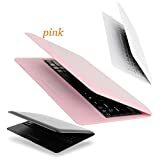 There are some really sleek, ultra-modern laptops in pink that any business woman can use in the board room with full professional confidence. 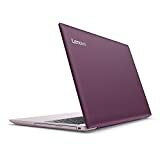 Do Cute Pink Laptops Cost More Money? When pink laptops first came out, they were a bit costly for the average family. Now, it is easier to find smaller versions that are more affordable. If you go online, you will notice that the pink computer market has a lot of companies vying for business. As more and more companies create them, prices will get better. The cost of a pink one with an adorable design can also depend on whether the brand name itself is high-end and the general size of the gadget. There are now some really tiny ones available online. Some are no larger than a school book. Is there any place where this adorable kitty won't go? 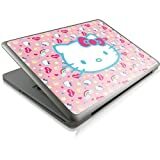 I can't think of a cuter gift idea for a young girl or teenager than giving her a Hello Kitty laptop skin in pink and white. There is no reason why surfing the web can't be done in style. Girls of all ages find Hello Kitty adorable. I wouldn't mind having the laptop skin pictured here. Cute cannot begin to describe it. I love the design concepts of pink electronic devices and accessories with girl-pleasing embellishments. Going online with Hello Kitty is the cat's meow. A skin is an affordable way to turn a plain laptop into a unique designer version that showcases a girl's personal style.